While looking through my files to post something tonight I found a card that never made it to my blog when I made this series. 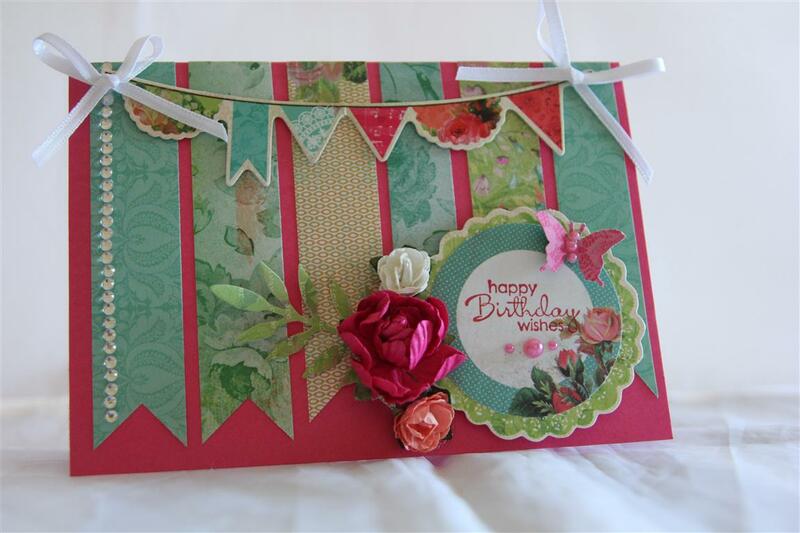 The paper collection is Kaisercraft Secret Admirer, and it was a favourite when it was released.I think I still have some left, but always full of good intentions to get back to paper collections , it hasn’t happened yet! 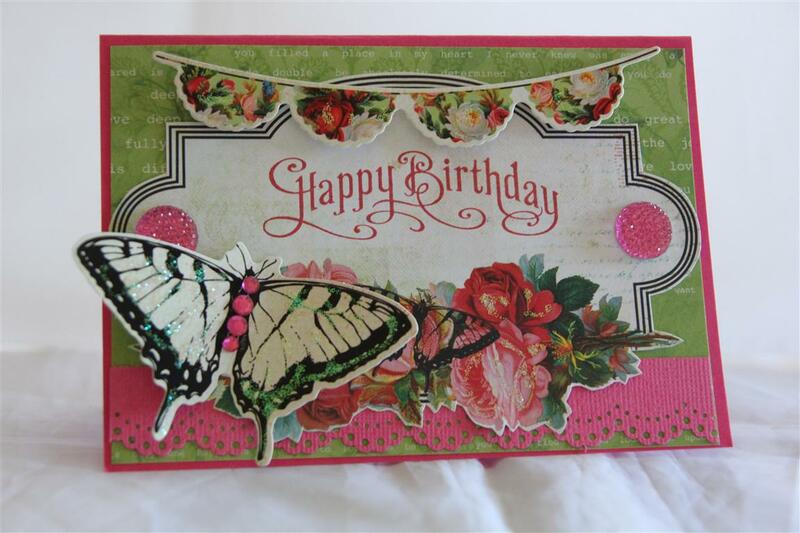 I teamed the paper with the matching collectables for this card, and added some ribbon and rhinestone strips and butterflies punched with a Martha Stewart punch. 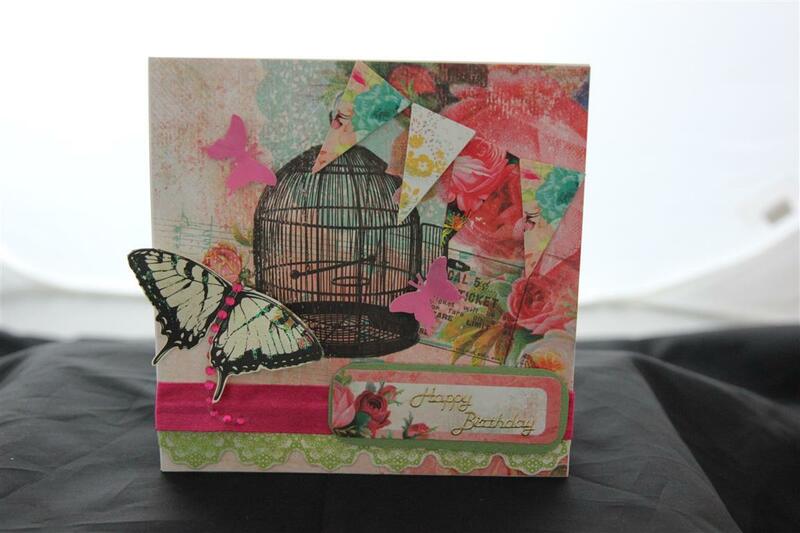 I have been in the craft room in the evenings this week fulfilling some orders, but tonight is T.V. Night! til tomorrow….. This is an early post today – I missed yesterdays as we had problems with our internet – it’s amazing how that brings most of the household to a grinding halt ! 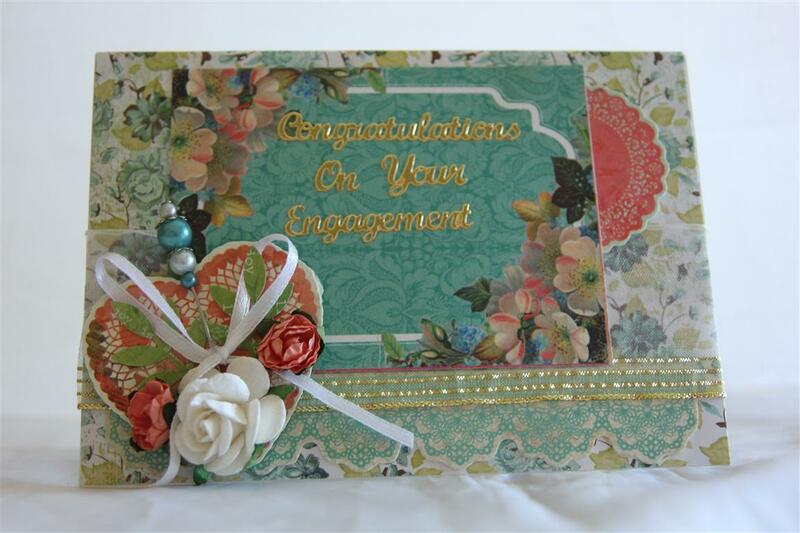 Todays card uses Kaisercraft Secret Admirer 6″ pad and matching collectables- this collection was a little different – kaisercraft brought out 2 different collectables packs, one of which was mainly die cut doilies, and its this pack that I used here. I tucked one behind a panel from a piece of 12 x 12 paper, and used the other as abase for my group of martha stewart punched frond leaves, flowers and ribbon, and slid a Prima hat pin behind. Til tomorrow…. 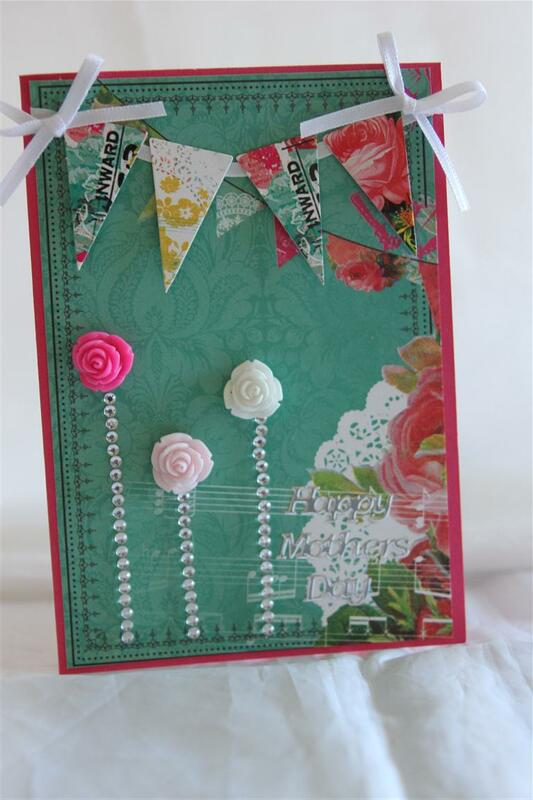 This is the last in my kaisercraft secret admirer series, I have put it all away until I can use it with the 6″ pad, which is still elusive!The background paper is a 12 x 12 sheet, and I used some of the collectables to make the bunting and the sentiment. other goodies used here are – flowers, ribbon, perfect pearls and a doily.Very hot day here today, so I am off to make salads for tea! Til tomorrow….